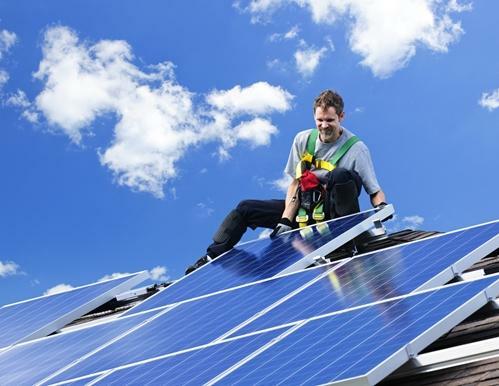 Experts weigh in on solar's future in 2014 | West Coast Solar, Inc.
As 2013 comes to an end, it’s important to reflect on the past year in the solar industry and figure out what we can learn from the last 12 months. The year was especially successful for the proliferation of Bay Area solar power, so it’s a good idea to analyze what made the technology so popular among homeowners and businesses in order to continue this progress in 2014. Focus on soft costs: Kreamer believes manufacturers will focus on innovating to lower soft costs such as labor and installation times, so that the solar cost curve continues to arc downward. More growth: Solar power saw record levels of expansion in 2013, especially in the leasing sector. This trend is likely to continue into next year. Net metering debates: One of the big stories of 2013 was utility companies’ efforts to roll back net metering benefits for solar customers, in an attempt to undermine the success of solar power among residential customers. Kreamer believes this will continue for some time, but that electric companies will eventually give up and realize that it’s more beneficial (and profitable) to work with distributed generation rather than against it. Because solar continues to provide excellent value to customers all over California, we also expect this technology to grow in popularity. To find out more about how Northern California solar energy can improve your household’s financial health, contact West Coast Solar today.